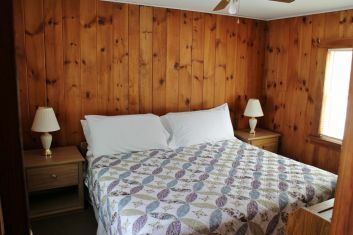 At Pine Valley Cabins there is a choice of one or two bedroom cabins. Due to allergies we do not accept pets at Pine Valley Cabins. 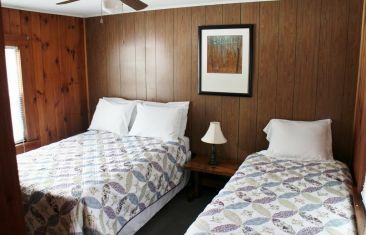 Our two bedroom cabins have a king size bed in one room and one full and a twin bed in the second room. The kitchens are equipped with a table and chairs, a refrigerator, stove and microwave. Cooking utensils, plates, bowls, glasses and mugs are provided. There is also a private bathroom with shower in the cabin. 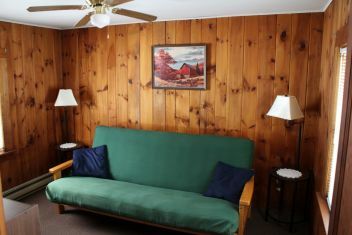 The two bedroom cabins do not have a living room. 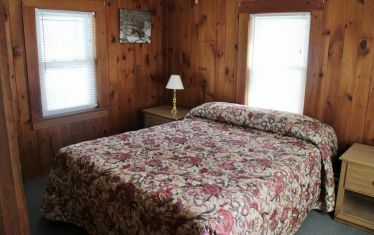 There is a choice of a king size or queen size bed in the one bedroom cabins. There is also a living room with a couch and tv in the other room. 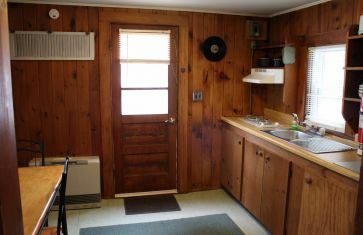 The kitchens in our one bedroom cabins are equipped with a small refrigerator, 2 ring gas stove top, microwave, table and chairs. Cooking utensils, plates, bowls, glasses and mugs are provided. There is also a private bathroom with shower in the cabin. 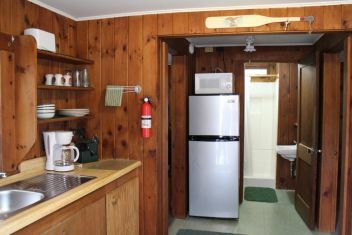 All cabins have a kitchen, a bathroom with a shower and televisions with cable. Free wifi is standard in all cabins.